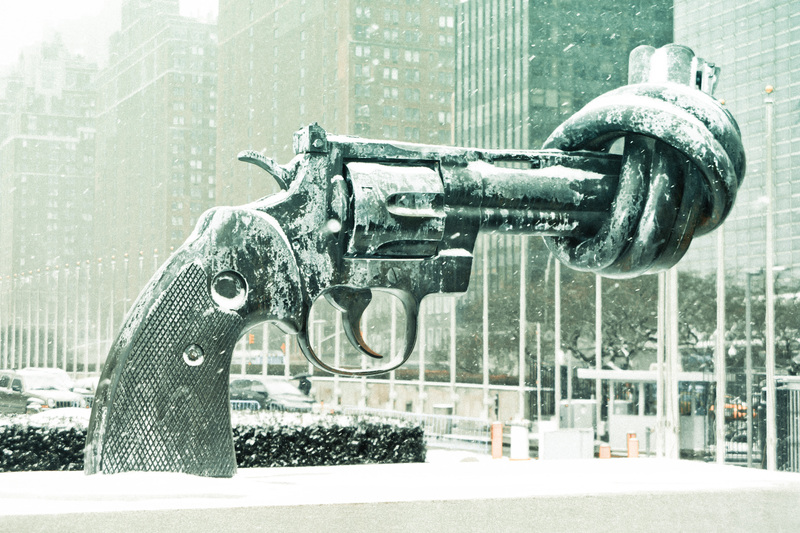 The sculpture “Non-Violence” in front of the United Nations building in New York. Courtesy of Luke Redmond. In recent weeks, a number of people have asked me whether I think we’re headed for World War III. Maybe it’s the intense media coverage of the centennial of WWI. Maybe it’s all the violence heating up in Israel & Gaza, Iraq, and Ukraine, and wars raging in Syria, Nigeria, and DRC. Maybe it’s the fact that several of these wars are activating great power tensions in ways that haven’t been seen since the Cold War, or that diplomatic crises are shaking the United States’ friendships with foundational allies. Maybe it’s the speculation by some pundits that we are, indeed, teetering on the precipice of a new world war. All of these recent trends stand in stark contrast to claims made by a number of recent books about how war has declined. In fact, 2000- 2010 was arguably the most peaceful in recorded history. 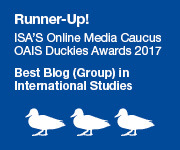 Since the publication of the “war is almost in the dustbin of history” books of 2011, there is no doubt that the march toward peace has suffered a major reversal. There is a lot of violence around the world right now. 2013 was the bloodiest year with the largest number of refugees worldwide since 1994. As weapons manufacturers make money hand over fist, the weapons they produce are the most lethal ever created (and they are everywhere). At the same time, there are more people in the world today actively working to avoid war than in any other period in recorded human history. There appears to be no taste among great power publics for war. The United States’ own preventative and preemptive tendencies have been tamed. There are international governmental organizations (IGOs) like the UN and supranational organizations like the EU working daily to avoid war. There are thousands of global nongovernmental organizations (NGOs) actively lobbying against war. Very few intellectuals make serious arguments in favor of using military action as a solution to today’s conflicts. Blockbuster films depict defense contractors as bad guys. 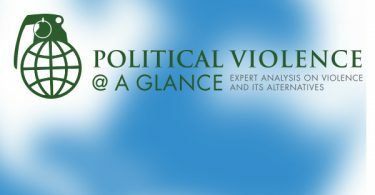 The known alternatives to armed conflict are ever more ubiquitous, generating a higher burden of proof for those arguing that kinetic military action is a superior way of obtaining political goals. And there is an active global peace movement, which has grown in influence since WWI and has many skillful proponents at the grassroots level as well as advocates within the halls of power. This, to me, gets to the paradox of 2014—that while violence is on the rise, tensions are high, and the technologies of warfare are lethal, the world also features the most active and mobilized population interested in preserving peace that the world has ever known. Given all of the bad news in the headlines and the palpable awareness that great power peace is neither permanent nor inevitable, the forces for peace make me cautiously optimistic that the world will emerge from these disturbing reversals without descending into WWIII. Thanks, Erica. I share your optimism that countries are moving away from warfare, making a WWIII increasingly less likely. The increasing violence is largely of a different nature — the product of failed states, extremist groups, and individuals who can do more damage than ever thanks to technology. These weak state and non-state actors have been emboldened by the global recession, growing inequality of wealth and access to power, and the polarization that has accompanied these factors. The urgency of the need to find solutions to this constellation of aggravating influences cannot be overstated, yet folks in positions to do something — especially in politics and media — continue to fan the flames. We must find more effective ways to hold them accountable. I think that some other points such as nuclear weapons, sheer American military power, the lack of incentives for most major powers to actually go to war with each over the Middle East (as the rather alarmist FP guest columnist suggests they might) and others might deserve mention as well.